Here is the quick list of the top three dating sites in Kenya. I’ll go into more detail in my reviews later in this article. Online dating in Kenya grew significantly during the first decade of this century thanks to an influx of high speed fiber optic bandwidth that led to a reduction in internet prices. More and more people in Nairobi, Mombasa and other cities across the country are connecting to the web everyday. Many of these people are singles in search of love and have signed up for the best online dating sites in Kenya. 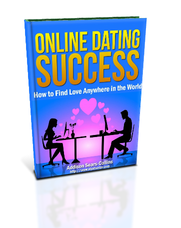 Having lived and worked in Kenya, I can tell you that your best success with online dating in the country will be in the big cities such as Nairobi and Mombasa where there is a larger pool of people from which to choose. Kenyans are beautiful. Having traveled in and out of the country on numerous occasions during my days living in Mauritius (a small island country east of Madagascar, in the middle of the Indian Ocean), I grew an appreciation for the silky smooth brown skin tones of the people that live in this country. Nairobi and Mombasa have an electric nightlife and an infectious energy. The food is terrible and traffic can be horrific, but the upsides of warm, friendly people far outweigh the downsides. As I advised in my article on online dating in South Africa, should you decide to sign up for the online dating sites I recommend below, be sure to read member profiles carefully as you might come across a lot of fake profiles. Usually, I can spot these profiles easily. A woman who has only one picture posted, is wearing a tight bikini and making an overly suggestive pose are usually clear signals to steer clear. Without further ado, here are my detailed reviews of the top three dating sites in Kenya. 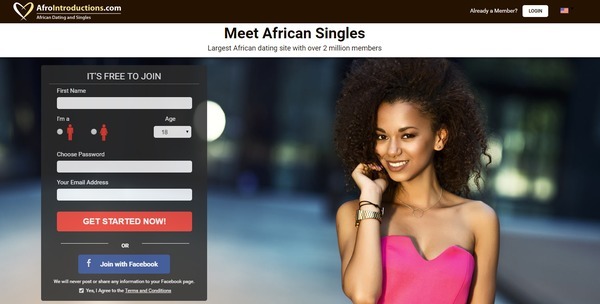 AfroIntroductions is an African dating site under the Cupid Media Network umbrella. Started in 2002, AfroIntroductions is now 2 million members strong, and growing. Its main member base is located in the USA, the UK, and many African countries, including Kenya, South Africa, and Ghana. 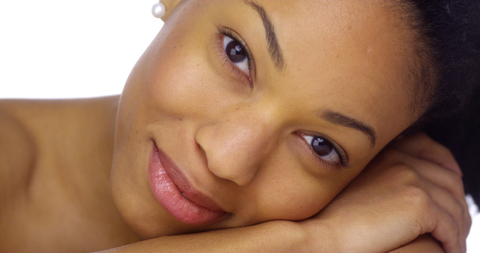 Like any dating site these days, you may run across a few sketchy profiles, but if you are black or of African descent like me, or if you’re looking to meet singles in this part of the world, then this is the site for you. Signing up is quick and easy. To start, link up your Facebook account, or enter your email, gender, age and location. Share a few words about yourself, and what you’re looking for in a partner, and that’s it! You’re now free to browse other members’ profiles. Occasionally the site will prompt you to fill out more of your profile to continue, which can be bothersome if you’re not looking to complete your profile right away. Whenever this happens, however, it is only a few questions at a time, and generally speaking, I was surprised at how much you are able to do on the site with an incomplete profile. Searches can be highly specified. Beyond basic details like age, location, and education, you can specify body type, ethnicity, lifestyle choices (smoking, drinking, etc. ), marital status, whether they have kids, religious views, even their star sign. AfroIntroductions’ basic messaging system is simple to use, with many options for filtering. You can also “show interest” by clicking a heart icon on their profile or add them to your favorites. The site lets you know when members are online and available for Instant Messaging, and audio and video chat is also supported. These can be extremely helpful in making sure you are a good match with someone before taking the time to meet them in person. As a free member, you can read messages from premium members, but to reply to messages or send any of your own, you’ll have to upgrade. I found the site layout clear, welcoming and well-designed. The bar up top lets you know how many members are online at any given moment, which is a nice feature. The ability to limit your browsing to Reverse Matches (members looking for someone like you) and Mutual Matches (where the both of you match each other’s criteria) is also quite helpful for finding someone you are truly compatible with. KenyanCupid.com is a much newer site than its sister site Afrointroductions.com. It is also owned by the Cupid Media company that runs a lot of sites I have used in the past, making it a solid second choice if you have run out of options. The signup process, features, and membership levels are the same as Afrointroductions.com. 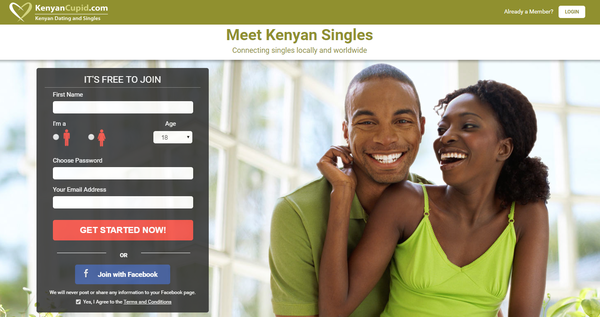 KenyanCupid is a niche dating site that narrows the focus of its larger cousin, AfroIntroductions that I mentioned above. It is also owned by the Cupid Media, making it a solid second choice if you have run out of options. As the name suggests, this site is specifically targeted towards Kenyans. This smaller focus obviously translates to a smaller user base. Despite this however, KenyanCupid is growing rapidly in popularity. This site has effective and vigilant anti-spam measures in place and powerful communication features for its premium members. The Gold and Platinum membership levels aren’t free, but they are well worth the investment. If you are Kenyan, or you are specifically looking for a Kenyan match, then this site is an obvious choice for you. Signing up for KenyanCupid is free and only requires your name, gender, email and a password to start. Another easier option is to simply link up your Facebook account, which will both speed up the process and ensure that KenyanCupid will not terminate your profile because of suspected activity. To finish, briefly tell a bit about who you are, and who you’re looking for, and then you can browse the site. If you elect to leave your profile incomplete, you’ll occasionally be asked to fill out more of your profile before continuing. Your first option is to browse KenyanCupid’s recommended matches for you. When using KenyanCupid’s match-browsing feature, you have four ways to view the presented profiles: photos only, photos with basic information, photos with basic information and a short blurb about them, and by full profiles. You can also craft detailed searches of your own, selecting between many different criteria options, and then saving your search to use again later. As a Standard member, communication options are pretty limited. You have different options for attracting the attention of other Standard members: sending interest, adding them to your favorites, visiting their profile, or sending a “locked” (and unreadable) message. Unfortunately, none of these involve actual conversation. To start a conversation, one of you will be forced to upgrade to a premium membership. If you decide to do so, you can choose between basic messages and audio, video and Instant Messaging chat. KenyanCupid’s messaging features are some of the best I’ve come across. Audio, video, and IM chats are all fantastic methods for determining your compatibility with potential matches. There is also the option of sending video messages, which in my experience tends to get way more responses than what a simple text message would receive. With these options at my fingertips, I rarely send regular text messages anymore. 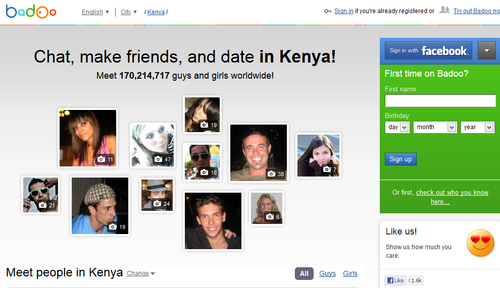 A massive worldwide online dating site launched in 2006, Badoo is an OK option for Kenya. It doesn’t have the same quality as Afrointroductions.com or KenyanCupid.com, which is why I would not focus on it as a starting point for your search. Badoo works on the “freemium” model, which means that it is free to sign up, but you have to pay for upgraded features. The site operates in over 180 countries. If you’re interested in signing up for Badoo, check out my full write-up on the site over on my review of the best dating sites in China.